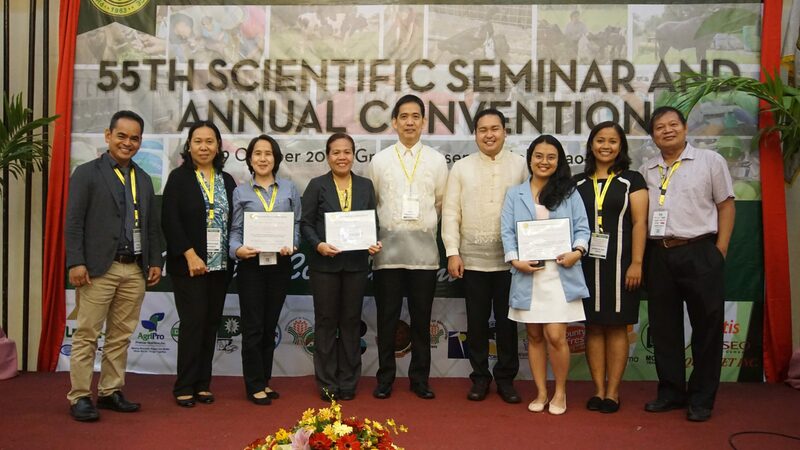 A number of researchers from the Philippine Carabao Center (PCC) received various awards and recognitions during the 55th Scientific Seminar and Annual Convention of the Philippine Society of Animal Science (PSAS) held on October 16-19 at the Grand Menseng Hotel in Davao City. 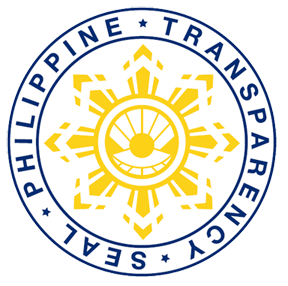 Dr. Eric P. Palacpac, chief of PCC’s Knowledge Management Division, was bestowed the “PSAS Outstanding Professional in Animal Science Extension” award in recognition of his leadership in spearheading various learning platforms and development of Information, Education and Communication (IEC) materials for the benefit of the carabao-raising sector. On the other hand, Dr. Marvin A. Villanueva, PCC’s Senior Science Research Specialist, was hailed as the “2018 PSAS-UNAHCO, Inc. Outstanding Young Professional in Animal Science” awardee for his innovative researches that led to the development of technologies particularly on animal health. Three papers from the PCC also won the “Best Paper” award under different categories. Dr. Ma. Wynne A. Pagaduan’s study “Monitoring of Aflatoxin M1 and Dairy Farm Management of Water Buffalo” was chosen as the “Best Paper” under the applied research category. The other authors of the study were Dr. Villanueva and Gemerlyn G. Garcia. The study “Effect of Different Prostaglandin (PGF2) Analogues during Synchronization in Dairy Buffaloes (Bubalus bubalis)” conducted and presented by Rebecca Ruby G. Gabriel of PCC at the Central Luzon State University (CLSU), bagged the same award under the biotechnology category. Her co-authors were Dr. Eufrocina P. Atabay, Dr. Edwin C. Atabay, Dr. Jessica Gay M. Ortiz, Dr. Edgar A. Orden, and Jhon Paul R. Apolinario. Finally, the study “Identification of Bacterial Community in Mastitic Milk Water from Buffalo in Selected Cooperatives of the National Impact Zone Using PCR and DGGE Method” presented by Paula Blanca Gaban was chosen the “Best Paper” under the disease and diagnostics category. The other authors of the study were Dr. Claro N. Mingala, Niña Rica A. Pagaduan, and Jervin R. Undan. During the convention, different papers were presented under various categories, which included anatomy, physiology and biochemistry, nutrition, applied research, undergraduate thesis, breeding and genetics, biotechnology, disease and diagnostics, production and processing, socio-economic, and development. More than 10 posters were exhibited during the course of the scientific sessions. In the election for the governing council members and PSAS chapter officers for 2018-2019, Dr. Synan S. Baguio of the Philippine Council for Agriculture, Aquatic and Natural Resources Research and Development (PCAARRD) was elected vice president and is automatically the incoming president after next year’s convention. During the closing ceremony, Dr. Enrico Supangco, PSAS incumbent president turned over the flag of responsibility to Dr. Ester B. Flores, head of PCC’s Animal Genomics and Bioinformatics Unit, the incoming PSAS president. She added that they will also have more collaborative activities with their local chapters and that they would want and plan to formally have PSAS as a Continuing Professional Development (CPD) provider both for veterinarians and agriculturists. “We will try to explore that because that is what we will be needing now that we are in the internet age,” she further said. The PSAS is a professional non-profit organization comprised of veterinarians, animal scientists and practitioners in related fields across the country conducting researches relevant to the developments in the field of animal science. Its annual scientific seminar and convention serves as venue for knowledge-sharing through presentations of scientific papers and posters as well as plenary sessions tackling issues and challenges confronting the industry. This year’s convention revolved on the theme “Animal Health Management: A Critical Control Point for Food Safety”, which was meant to highlight the role of animal producers in providing nutritious and safe food for Filipino families. Over 500 representatives from across the industry and academe participated in the annual convention.